Reader Question: Is There a Budget-Friendly Way to Improve a Wall? A: Losing your view of the outdoors can be disappointing—another wall just makes you feel holed-up in your room. If your neighbor doesn't mind, why don't you hang some plants on their wall so you still get some semblance of the outdoors? 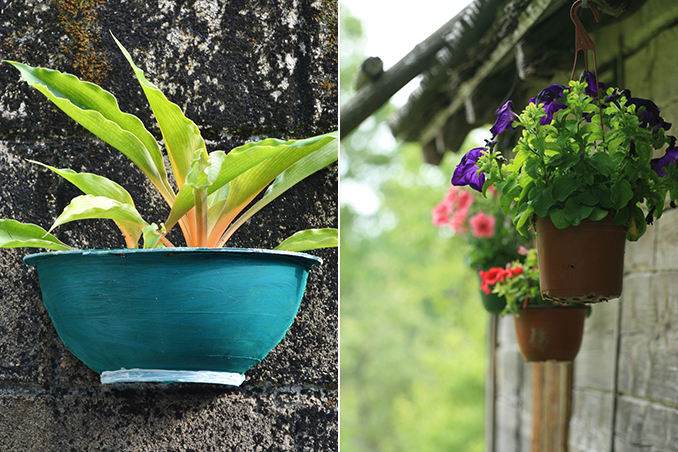 There are many DIY vertical gardening styles that are inexpensive—you can even use old milk cans and drain pipes as planters! Click here for more gardening ideas for small spaces. Got a design question? We’d love to help! Like us on Facebook <https://www.facebook.com/realliving.ph> and follow us on Twitter (@reallivingph) and Instagram (@reallivingph)! Read the original article ("Ask It") in the August 2013 issue of Real Living Magazine. Download your digital copy of Real Living on the Real Living App now! Log on to summitnewsstand.com.ph/real-living for more details.